Chinook salmon are in trouble along Northern BC rivers. That’s according to the Spruce City Wildlife Association (SCWA) in response to a regional report this week by the Upper Fraser Fisheries Conservation Alliance (UFFCA). The findings determined that of the 16 salmon species in Canada, four are considered threatened, including the Upper Fraser Chinook. SCWA President Steve Hamilton explained a separate hatchery, one the Prince George-based volunteer group has advocated for nearly five years now, could help preserve the dying species. 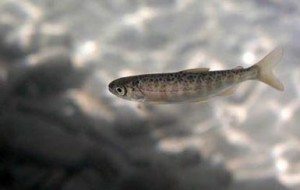 In the report, the UFFCA says its goal each year is to preserve up to 4,000 spawning chinook, but the SCWA says only 1,200 eggs were gathered in 2018. Not only does Hamilton note this as a problem for the salmon and those who live off of them, but the shortage can’t be linked to a single issue. He said there’s still a ways to go in order to get government approval for a second hatchery in the City. Hamilton believes engaging with local politicians could also help the cause and the SCWA has been in talks with local First Nations on they can work together.